My most recent project has been animating a very cute ad for the folks over at Stick and Poke Tattoo Kit, (2018) Im pretty proud, check in out! Kicking off 2018 I also had my first Sacramento exhibit. In the fall I released the animated music video for Rogue, a track off Phosphene’s newest album Breaker. The project shot with Phosphene in August 2016 and was in production for 13 months of animation before being posted and screened at the Nevada City Film Festival in September 2017. I’m extremely excited to finally share it, again Rogue ! Look out for a blog post coming up on traymedia about the process. Kicking off 2017, Pro Arts featured two of my animations Chin Study and Smoke Stack Castle in their window gallery review here. 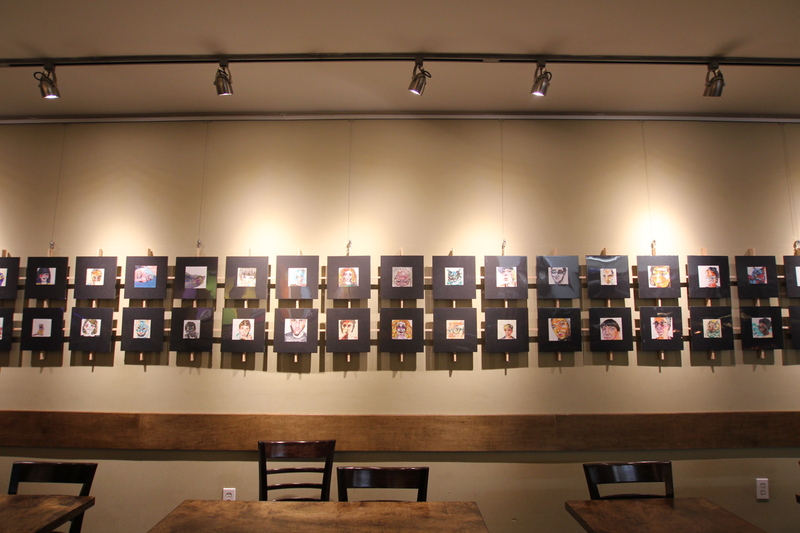 A selection of my most recent series Marker Portraits can currently be viewed at Studio Morey (55th & MLK, Oakland). I continue to work on a commission basis in this style. For more on commissioning portraits visit here. Original 6×6 graphic art marker & pen portraits, photo shoot included. How do I contact you to order Original Art Market Portraits?  Any additional art related inquiries (tati.m.ray@gmail.com). Can you do a drawing from a photograph I have? sharp focus, and the composition must be close to the face. How long does it typically take to complete a commission? What is the photo shoot like? included within 30 miles of Martinez, Ca. Can you do a portrait of my pet? Yes. Absolutely, I often do portraits of beloved pets. date.) The final 50%, is due upon portrait completion & delivery. I accept check, cash, card, Pay Pal, Venmo, or Cash (squares app). What if I need a portrait done in less then two weeks? can possibly make it happen for you, I will. My pet is protective and does not like strangers; can you still do their portrait? parameters needed to do my best work. do a photography session, is it still possible to commission a portrait of them? The majority of the time I like to hand deliver work within the bay and sacramento areas. Shipping within the United States is included. There is a fee for shipping abroad. forward to hearing from and working with you!